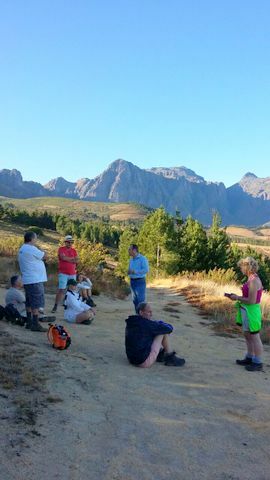 Enjoy hiking with a difference. All you carry is a light day-pack and we transport your luggage to the next stop. Walk at an easy pace and enjoy the scenery as you discover hidden treasures. Stop and taste the wines and olive products produced in this fertile valley. Local guides, fully accredited and well versed in the history and culture of the area, will accompany you. The Cape Winelands region is the source of many legendary Cape wines, the produce of row upon row of grapevines, many of which were first planted hundreds of years ago. Fynbos is the major vegetation type of the small botanical region known as the Cape Floral Kingdom. Only five other floral kingdoms are recognised in the world, and these cover huge areas such as the whole of Australia and most of the northern hemisphere. The Cape Floral Kingdom is both the smallest and the richest floral kingdom, with the highest known concentration of plant species: 1 300 per 10 000 km2! The nearest rival, the South American rain forest has a concentration of only 400 per 10 000 km2.